Partner Search / LitExtension Corp. 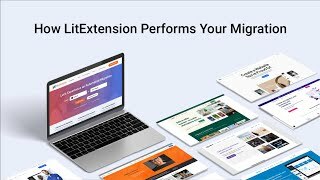 Founded in 2011 by IT experts with more than 10 years of experience in web development and e-commerce solutions, LitExtension is so proud to be one of the best providers of Shopping Cart Migration Tools/Services for Magento, WooCommerce, OpenCart, Prestashop, BigCommerce, Shopify. With desire to make your work easier and help you save time in administrating website and developing business, we always try tirelessly to provide customers the best - quality products and enthusiastic support. LitExtension Shopping Cart Migration tool allows to migrate your customers, products, orders and other data from your store to BigCommerce in a few clicks automatically.